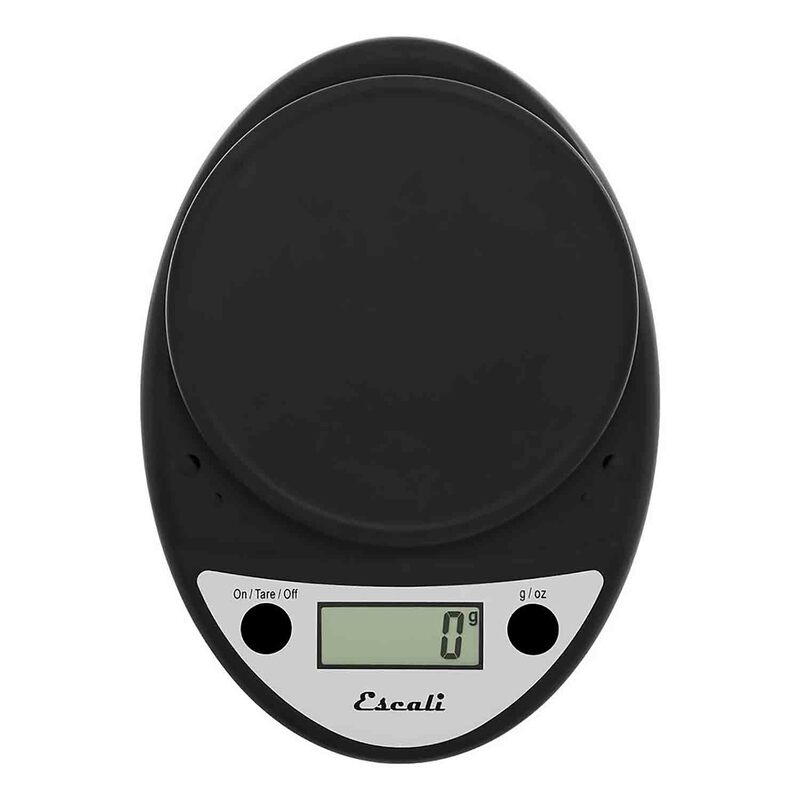 Brand: Escali Corporation EI-P115CH Units: 1 The maximum weight capacity is 11 lb or 5000 gram. Accurately measures in 0.1 ounce or 1 gram increments. Compact and portable for easy storage and transport. The scale will automatically turn off when it is not used for a set time. Tare Feature lets you reset the scale back to zero. When using a container, scale can subtract the containers weight to obtain the weight of its contents. Two AA batteries are included. The maximum weight capacity is 11 lb or 5000 gram. Accurately measures in 0.1 ounce or 1 gram increments. Compact and portable for easy storage and transport. The scale will automatically turn off when it is not used for a set time. Tare Feature lets you reset the scale back to zero. When using a container, scale can subtract the containers weight to obtain the weight of its contents. Two AA batteries are included.